I have a seven year old English Cocker Spaniel who in the past has had problems with skin (mange), and an E.Canis tick infection. He is on Frontline monthly application during the hot months (this was the only thing that was able to control the tick infestation back when he had E.Canis while in another country). My concern now is that he is aging, and I am worried about over-vaccinating and over-drugging him but still want to maintain adequate flea and tick protection for him. What natural flea and tick spray would you suggest, and how often? I have heard Revolution provides benefits against heartworm, one species of tick, fleas, and worms if applied monthly, which seems better than using a heartworm prevention, a wormer, and a flea and tick preventative. I also understand Revolution isn’t really a natural flea and tick control solution and prefer that. Thoughts? Fleas and ticks are an area of toxic exposure. Please know that anything you’d put on your dog’s shoulders that kills pests is called, wait for it, a conventional pesticide. Right? Meaning, it’s poison, with warning labels to not get it on you. Hmmm. But it’s okay to put on your aging dog? What’s wrong with that picture?? 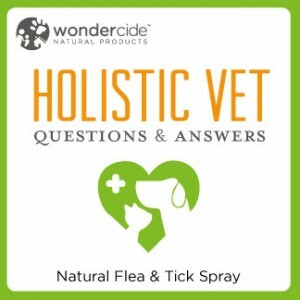 I’ll let the Wondercide staff tell you their favorite natural flea and tick spray products to use instead. You’ve asked a holistic veterinarian for his opinion on all these questions. A conventional vet will quite likely disagree with most everything I’ve written. 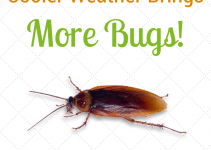 It’s ultimately up to you to decide what natural flea and tick prevention track makes sense to you, but I would urge you to proceed with caution. 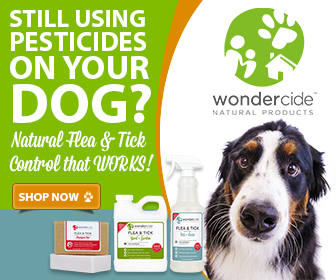 For a conventional pesticide-free approach to natural flea and tick control, visit wondercide.com to learn about Wondercide Natural Flea and Tick Spray. Why are conventional pesticides used? Do you ship evolv to New Zealand or do you have a distributor here? Yes, Wondercide ships anywhere in the world via UPS (or USPS where available). You can place the order online to get shipping rates or contact us by email, phone or live chat to work it up for you.